Shepard "Shep" Mitchell and Mendel "M.B." Silberberg meet as new attorneys at a Los Angeles firm and decide to go into practice together. Mitchell, a brilliant legal analyst, told the charismatic extrovert, Silberberg, "You bring in the clients and I'll turn out the work." The radio, TV, and internet were invented. The Titanic was built, set sail, sank, and was re discovered. Silberberg became a trusted advisor to Columbia Pictures founder Harry Cohn, and so began MSK's ongoing and unmatched relationship with the entertainment industry. There were no lawyers at the studios at that time, but Silberberg was given an office on the Columbia lot, the start of a tradition of loaning out MSK attorneys to studios that continues to this day. The stock market crash and the depression that followed caused the demise of many businesses and law firms. But MSK, with its tenacity and innovative thinking, had the good fortune of growing by assisting prominent companies, such as national insurance firms, in need of sophisticated legal counsel for complex reorganizations during the upheaval of the Depression. In the early 1930s, Guy Knupp, a law school classmate of Mitchell's and a superlative litigator, joined the firm and began operating under the name of Mitchell Silberberg & Knupp. MSK expanded its Litigation, Corporate and Entertainment practices to serve a growing and diverse clientele. Prohibition was created and repealed. In 1933, Leon Lewis, dubbed “the most dangerous Jew in Los Angeles” by local Nazis, launched an undercover operation called the Community Committee to mount a spy operation aimed at penetrating the city’s Nazi organization. Mr. Lewis looked to MSK co-founder Mendel Silberberg to run the organization because of his reputation for being one of the nation’s most powerful entertainment industry lawyers. Mr. Silberberg’s industry contacts, coupled with his running of the American Legion Post 8, which he helped start following his Army Air Force service in World War I, proved useful in raising the necessary funds for operating the Community Committee. Friends from college, Arthur Groman and Chester "Chet" Lappen joined the firm where, like so many MSK attorneys and staff, they would devote their entire careers. What was unique about Groman and Lappen was the profound influence they had on the firm's litigation and corporate practices, respectively, each becoming a practice chair. The firm negotiated the sale of Liberty Films to Paramount Pictures. Liberty was founded in 1945 by Sam Briskin and directors Frank Capra, George Stevens and William Wyler. Under terms of the sales agreement, Liberty became a subsidiary of Paramount; Capra, Stevens and Wyler were given producer-director status at the studio; and Briskin became a Paramount executive. MSK was engaged to represent the Estate of Ernst Lubitsch, whose distinctive "Lubitsch touch" graced an unforgettable string of film comedies. That was not the first time our Trusts & Estates practice administered the estate of a famous individual, nor would it be the last. We have been privileged to plan and administer the estates of such diverse luminaries as William Randolph Hearst, Irving Berlin, Albert Einstein, John Coltrane, Marilyn Monroe, the Wright Brothers and Elvis Presley. The US fought in World War I, World War II, Korean War, Vietnam War, Persian Gulf War, Iraq War, Afghanistan War. MSK helped Paramount buy a 50% interest in International Telemeter Corporation, one of the first pay community television systems -- literally coin-operated TV. A public test of this service was conducted in Palm Springs via close-circuit TV. When Paramount aired "Forever Female" over this pay service concurrent with the film's theatrical premiere, the initial response was overwhelming. That system was a precursor to Pay TV, Video on Demand, Satellite TV, and other exciting new and emerging digital delivery mechanisms that have become a major component of the entertainment industry. New Yorker Armand Hammer was referred to MSK by a New York law firm when he was searching for counsel in Los Angeles. On a napkin at the Beverly Hills Hotel, Arthur Groman roughed out what would become the documents for Mr. Hammer's takeover of Occidental Petroleum, and so began a life-long friendship between these extraordinary men and a lasting professional relationship between Occidental Petroleum and MSK. Alaska, Arizona, Hawaii, Oklahoma and New Mexico were admitted to the Union. Edward "Eddie" Rubin began representing the newly created Association of Motion Picture Producers, predecessor of the Alliance of Motion Picture and Television Producers (AMPTP). Eddie Rubin would go on to chair MSK's Entertainment practice, represent several major motion picture studios, become a noted author and law school professor, and serve as President of the California State Bar Association. Eleven amendments added to the Constitution. Norma Zarky became the first female partner at MSK. A truly remarkable woman and an exceptional entertainment attorney, she paved the way for a succession of women to follow her into the partnership. Norma Zarky blazed other important trails, too. She was the first woman to serve as president of the Beverly Hills Bar Association and was a founding member of Women in Film, which issues an annual humanitarian award in her name. The piracy of recorded material dates back to the first recordings. However, the popularity of tape cassettes and modern recording equipment, and ultimately CDs and DVDs, enabled true mass production of pirated material. Representing all of the major record labels at the time, MSK launched a successful campaign to seize pirated recordings and shut down pirating operations. Even now, our Intellectual Property & Technology practice is still sought after by recording and production companies as well as manufacturers, publishers, entrepreneurs and countless others to provide worldwide representation in the protection, enforcement and exploitation of intellectual property rights. MSK's Litigation practice defended a national accounting firm in what was then the largest securities fraud class action that had ever been filed. Our client, including two of its partners, stood accused of facilitating a massive fraud in connection with the Equity Funding scandal. Through diligent and dogged, but also innovative lawyering, MSK was able to extricate our client from the Equity Funding litigation. MSK continues to maintain a track record of success in defending class action, mass-plaintiff and other complex litigation matters, working closely with each client to evaluate liability, develop strategies to reduce or eliminate exposure, and finally dismiss or, if necessary, creatively settle the action. Swing music, bell-bottoms, and disco came in style, went out of style and came back in style. MSK's Labor & Employment practice represented the AMPTP before the National Labor Relations Board (NLRB), and ultimately the US Supreme Court, in the watershed case American Broadcasting Cos., et. al. v. Writers Guild of America which held that the WGA could not legally fine members who crossed a WGA picket line in order to perform producing (not writing) duties. Throughout its history, MSK has regularly represented the entertainment industry's multi-employer bargaining Association in high-stakes arbitrations under the various Guild and union contracts. MSK has always been at the forefront of representing management in labor and employment law matters in a wide variety of industries and settings. When sports entrepreneur Jack Kent Cooke, then owner of the Los Angeles Lakers, the Los Angeles Kings and the "Fabulous" Forum that housed both teams, looked east to pursue investments, he looked to MSK to help him realize his dream. MSK's skilled attorneys devised a complex and ingenious plan that enabled Cooke to sell both teams and to acquire the famed Chrysler Building, among other East Coast properties, in a tax-free exchange for The Forum. Then as now, the MSK Tax practice provides sophisticated, innovative solutions to corporations, individuals and nonprofit entities. In addition, MSK has developed particular expertise in the legal and tax aspects of charitable gift planning, having earned a national reputation for innovation and creativity in structuring current and deferred charitable gifts. Fourteen teams were added to Major League Baseball. By the 1980s, MSK's Immigration practice had emerged as a rare specialty among corporate law firms. Our Immigration attorneys worked closely with our music and entertainment clients to ensure that performers and their crews could appear on international touring and recording commitments. Offering a nuanced understanding of the hurdles employers now face in recruiting technical and creative employees into the country for short- or long-term stays, MSK's Immigration practice today provides a full range of immigration services to multi-national corporations, public and private businesses and others in a variety of industries. Haley's comet passed Earth, twice. Corporate partner and security industry specialist Lessing "Les" Gold joined MSK, bringing with him Protection One, a company he had formed in 1991. MSK handled an IPO that allowed Protection One to be traded on the NYSE and, over the next few years, MSK's Corporate attorneys represented the client in a series of additional offerings, raising several hundred million dollars, and in numerous acquisitions. By the time MSK represented the client in its sale to Western Resources, Inc., Protection One had a transaction value of close to one billion dollars. MSK has remained very active in the area of mergers and acquisitions, having represented security alarm companies in the U.S. and abroad, purchasers and sellers, in nearly every major M&A transaction since the Protection One sale. George Burns celebrated his 10th, 20th, 30th, 40th, 50th, 60th, 70th, 80th, 90th and 100th birthdays. MSK successfully represented Fred Goldman in his high-profile civil suit in which a jury found that O.J. Simpson was liable for the wrongful death of Ronald Goldman and ordered to pay $33.5 million in compensatory and punitive damages. MSK's IP & Technology practice represented the record company plaintiffs as lead counsel in the seminal internet file sharing litigation, A&M Records, Inc. v. Napster, and in their historic suit against the Kazaa/Sharman, StreamCast, and Grokster peer-to-peer internet services, through appeal to the United States Supreme Court and post-appeal litigation, resulting in one of the most significant copyright decisions by The Supreme Court to date. MSK's innovative culture demanded the opening of an office in Washington DC to better serve its clients and advocate on Capitol Hill on a broad range of issues affecting intellectual property ownership, capital markets, and regulatory matters. Having a foothold inside the beltway has helped MSK and its lawyers shape legislation ranging from the DMCA to the JOBS Act. MSK served as lead counsel in two precedent-setting decisions involving the scope of the Digital Millennium Copyright Act, Rossi v. Motion Picture Assn of America, Inc. and 321 Studios v. MGM. MSK successfully represented Warner Bros. Television Production, an independent production company and several individual writers in a high-profile, wrongful termination and harassment suit brought by a former writer's assistant for the hit TV show "Friends." After obtaining summary judgment and an award of attorneys' fees for our clients, MSK argued the case of Lyle v. Warner Bros. Television Production before the California Supreme Court, resulting in a unanimous decision in favor of our clients. The Great Depression & Great Recession. 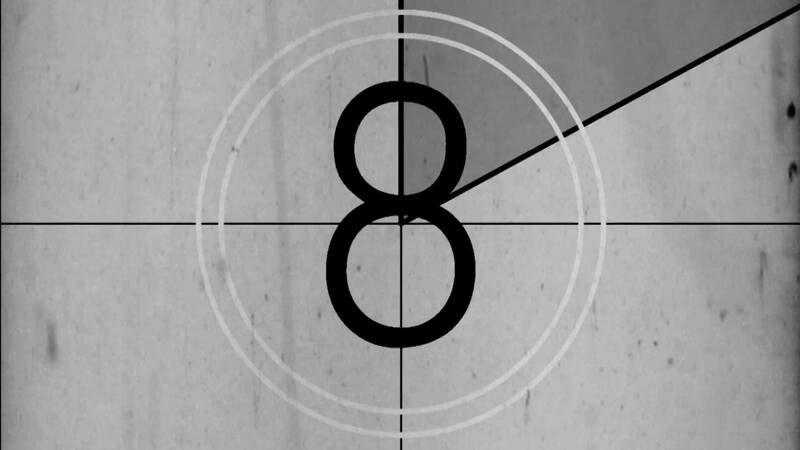 MSK's Labor & Employment practice demonstrated its expertise when it served as lead counsel in what may have been the largest labor arbitration ever held in the motion picture industry, successfully representing three studios in a 30-day arbitration with SAG, WGA and DGA concerning residuals on sales of home videos in foreign markets. 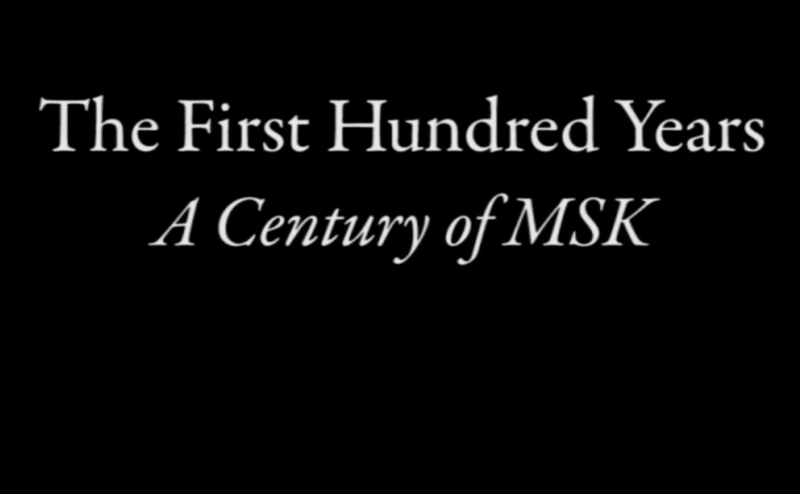 In 2008, MSK celebrated its 100-Year Anniversary by endowing a $100,000 scholarship fund to financially assist socio-economically disadvantaged students attending the UCLA School of Law. By endowing The Mitchell Silberberg & Knupp, Edward Rubin & Norma Zarky Endowed Scholarship Fund, honoring the memories of two seminal figures in the history of MSK, the firm expressed its appreciation for a century of success by reinvesting some of its good fortune into the lives of promising law students who need a helping hand in order to pursue their dreams of a legal career. Part of marking its 100th Anniversary included expansion to New York City. Opening an office focused on continuing its tradition as a powerhouse in litigation, intellectual property, and entertainment in the theatrical world of the "Big Apple" was a natural extension. That same year, MSK was retained by NBC/Universal to police the internet for unauthorized uses of material from the 2008 Olympic games. MSK was named "The Media and Entertainment Law Firm of the Year" by the Association of Media and Entertainment Counsel (AMEC). According to AMEC Co-Founder Arnold Peter, "MSK is clearly one of the trail blazing firms and thought leaders for the entertainment industry. When there is an industry-wide legal challenge, we consistently turn to MSK and its partners, many of whom are legends in their respective specialties. AMEC is honored to have the opportunity to recognize MSK as it continues to lead the entertainment industry in these times that are both challenging and exciting." Sixteen US presidents were elected. MSK displays its innovative abilities to the Ninth Circuit with cases of first impression which applied the First Amendment to the use of trademarks in video games, benefiting Activision's famous titles Call of Duty : Modern Warfare 3 and Call of Duty : Ghosts. Listed as the largest merger in California in 2015, MSK merged with corporate securities boutique Richardson Patel, with offices in Los Angeles and New York, forming a combined firm with 125 attorneys. The combination helped achieve multiple high-priority goals for MSK at once: expanding capabilities and presence in the New York office, enhancing the corporate practice across the board, and gaining the opportunity to serve emerging growth and middle market companies, both private and publicly traded — Richardson Patel’s primary client base — across a wide range of disciplines.